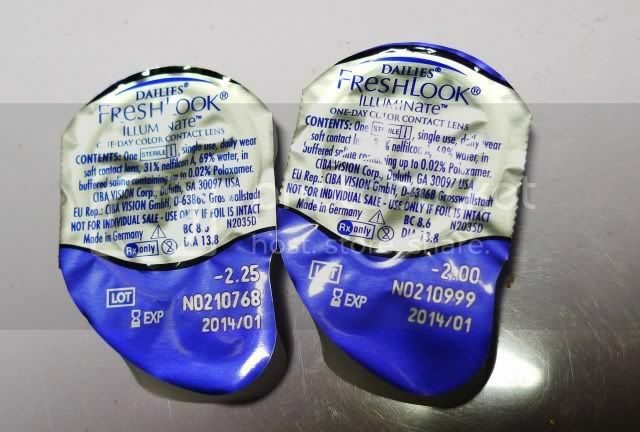 FreshLook Illuminate Daily Disposable lenses review. 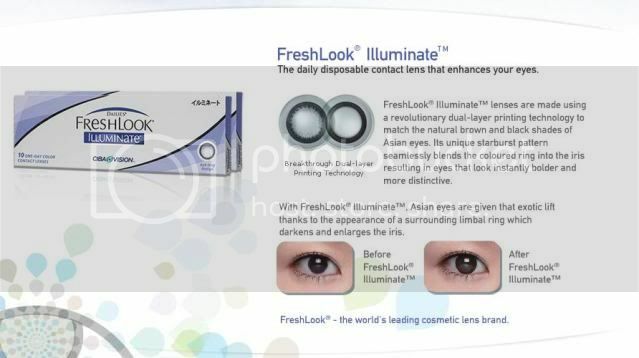 there was this online promotion for FreshLook Illuminate contact lenses. 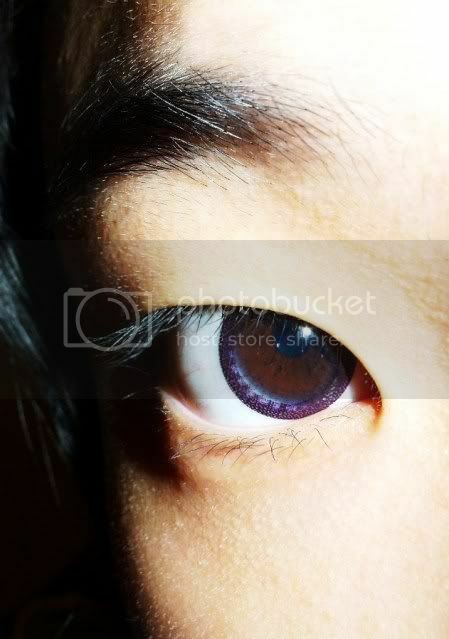 All you need to do was to submit a form of your details on this web , and they will send 3 pairs of the daily disposable lenses to your very doorstep! Honestly, I've never, ever worn contact lenses before. It's not because I don't want to, but rather, my PARENTS don't want me to. They'll rant on and on about infections/my carelessness blablabla. ANYWAYS! 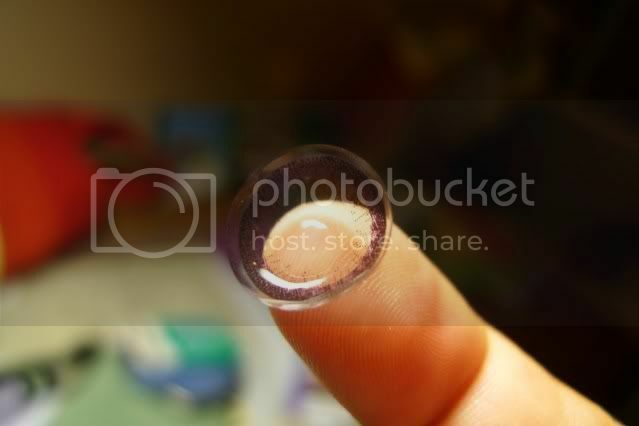 Since these were free, it was the only chance I've got, to get contacts. I was allowed to wear 'em for the Edboard photoshoot. Since Charis & I were first timers, we both decided to put 'em on together. haha! 69% water. That's a really high content! Face shot with natural light. Face shot with flash on. - It was kinda hard to put on because it was so slippery and soft. - Charis broke hers while gripping it. :\ It's kinda thin & fragile. - It was super comfortable tho. I wore it on for >7 hours when apparently first timers should only go for 5 hours. 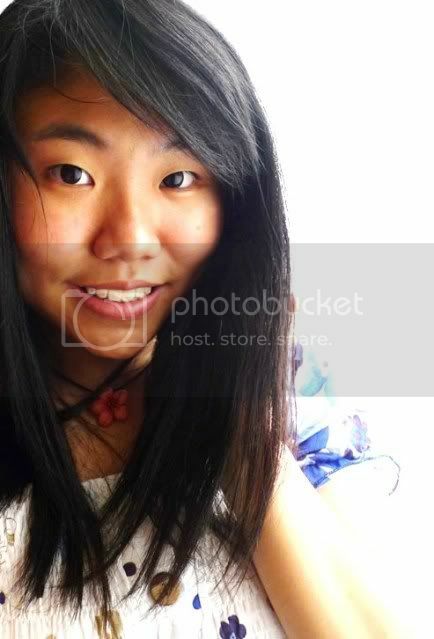 - I felt like I could see everything clearly without wearing a piece of metal gunk on my face. But if you look closely under flash/bright sunlight, you could see a purplish-black limbal ring around my eye. It's obvious then, because I have super dark pupils. 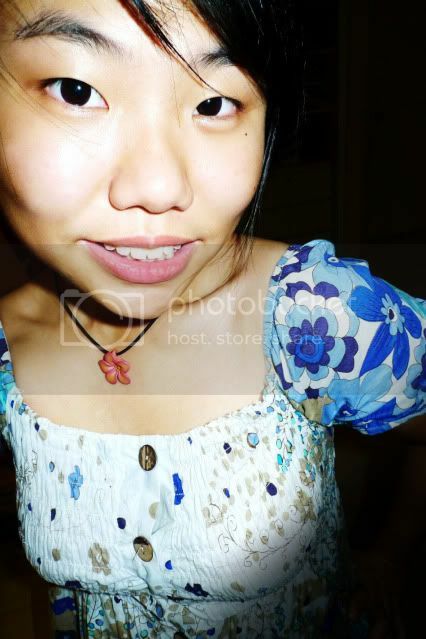 - My cousin said I looked like I have anime eyes. ._. lulwut. Would definitely repurchase if I'm allowed to; and if my budget agrees. .. 30 pairs would cost rm 210. But they're currently having a promotion of 30 pairs for rm180. That's kinda expensive. I suppose it'll be good for special occasions.